What Instrumental Lessons Are Available? Catherine teaches double bass, bass guitar, guitar, ukulele, cello, violin and recorder lessons to adults and children in Sydney’s Inner West. Teaching privately and at several music schools across Sydney, Catherine draws upon her own studies (AMEB and university) as well as her live music experience to formulate lesson plans for musicians of all levels. Start Your Music Lessons Today! 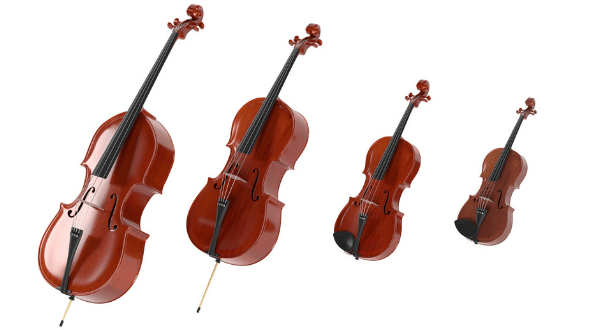 Double Bass, Bass Guitar, Guitar Lessons in Sydney. Contact Catherine... and let's get started! Catherine Golden enjoys a deep passion for music and a skill for passing on musical knowledge to her students, having taught double bass, guitar and bass to children and adults since 2009. 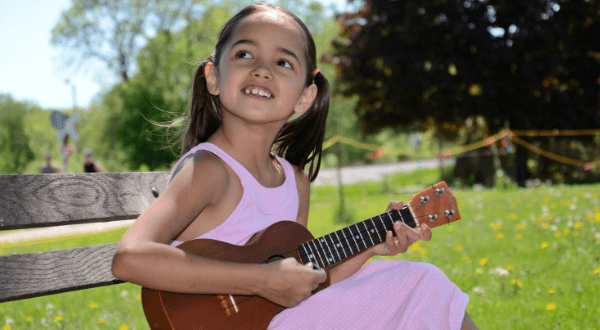 She brings a fun yet dedicated approach to music lessons and her instruction is designed to lead students to becoming well-rounded, knowledgeable and skilled musicians, whether they play for fun or are preparing to become professional musicians. Packed into each lesson is the philosophy, skill and theory gained through 20 years of live music experience and led by Catherine’s Bachelor of Music studies as well as the rubrics of the AMEB syllabi. School Band conducting and arranging for diverse school groups – strings, woodwind, guitar, ukulele, keyboard, percussion. 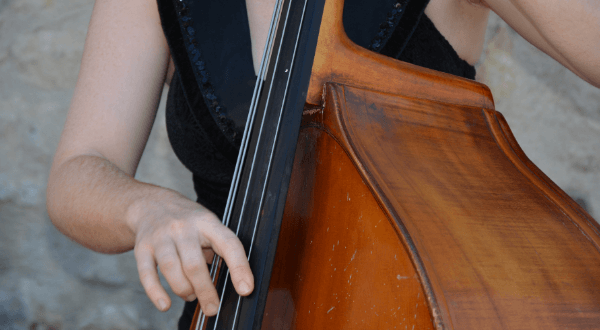 Sydney Double bass teacher, specialising in classical, jazz, contemporary double bass, and AMEB Double Bass Classical Grades to Grade 5. 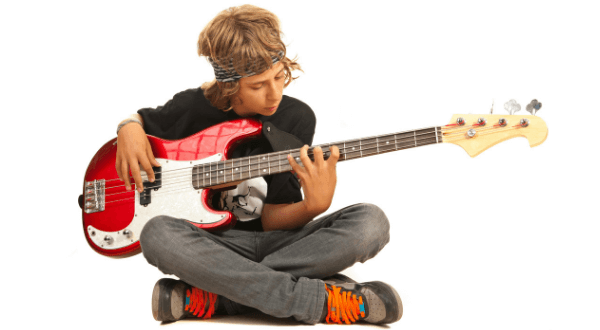 One-on-one bass guitar lessons, specialising in rock, funk, and jazz-fusion. 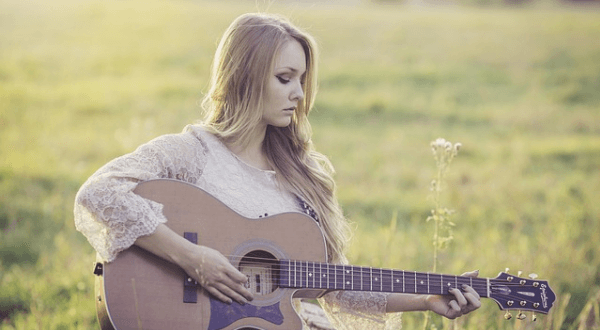 Guitar teacher Sydney, specialising in rock, pop, blues, folk. AMEB CPM grades (Contemporary Popular Music). 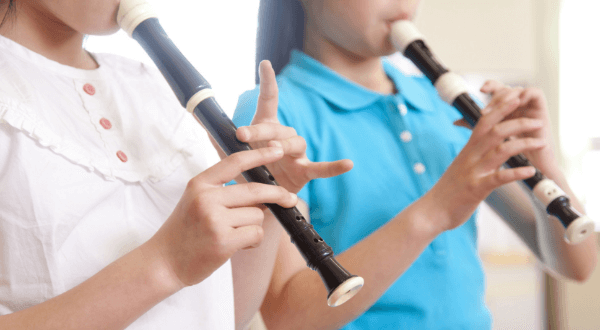 In many schools, the school ‘band’ consists of a wide variety of instruments and skill levels. Catherine enjoys the challenges of training these mixed ensembles, arranging music to best suit specific ensemble. Private one-on-one music lessons are taught from a well-equipped teaching studio in Sydney’s Inner West, with Protools recording software, a Korg Triton Le keyboard, and Finale music notation software used to facilitate lessons as necessary. To enquire about music lessons in Sydney’s Inner West, please contact Catherine.